China has always kept its development of ICBMs strictly confidential. It is US intelligence that has disclosed that China has carried out 7 tests of its new ICBM since July 24, 2012, the last time on April 12, 2016. As China has provided no information about the ICBM, US intelligence has given the ICBM the codename DF-41. According to Russia media Businessman Daily, Russia monitored the entire process of China’s test of DF-41 with its very powerful radar in April. It was amazed that the missile changed its trajectory sharply several times to make interception by US anti-missile systems utterly impossible. The missile finally released two independently guided warheads. US intelligence regards the missile as a headache as it carries more than 10 separately guided warheads. The interception rate of US anti-missile missiles is but 30%. It means the US has to launch more than 30 anti-missile missiles to intercept one DF-41 so that the US simply does not have such a large number of missiles to intercept China’s all DF-41s if DF-41s are interceptable. According to Washington Post, US highest military command is drawing up a plan on its final decision to wave the right of first strike of nuclear weapons at China and Russia. It is because the US is not sure that its 7,500 nuclear warheads can destroy all Chinese or Russian nuclear weapons and that the US is unable to intercept China’s or Russia’s second-strike nuclear missiles. There is speculation that DF-41 will soon be deployed on the basis of PLA Daily’s report on June 10 that China’s Rocket Force is conducting all-around upgrading to “great power’s scabbards”, which may refer to the tunnels for DF-31 ICBMs. The tunnels have to be expanded as DF-41 is larger and contain more warheads. 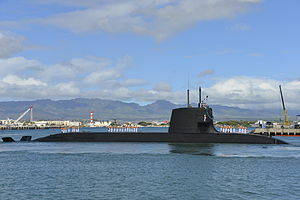 According to Japanese media, a Japanese Soryu-class submarine had stealthily tracked a Chinese fleet that was carrying out a naval drill for 14 days. It had switched off its radio and active sonar to avoid being detected by the Chinese fleet and believed that it had not been detected as the fleet had just disregarded it. However, when it surfaced to show that it had no enmity, it was amazed to find quite a few float sonars nearby and a Chinese Z-9C helicopter flying around it. Soryu-class is one of the best conventional submarines very difficult to detect, but Chinese navy has no difficulty to detect it. Russian media says China sends its new version of JH-7A fighter/bomber to take part in the Aviadarts competition in Russia’s International Army Games. It says that China has installed the radar, targeting navigation guide pod and Russia-made radio reconnaissance pod on the new version of JH-7A. 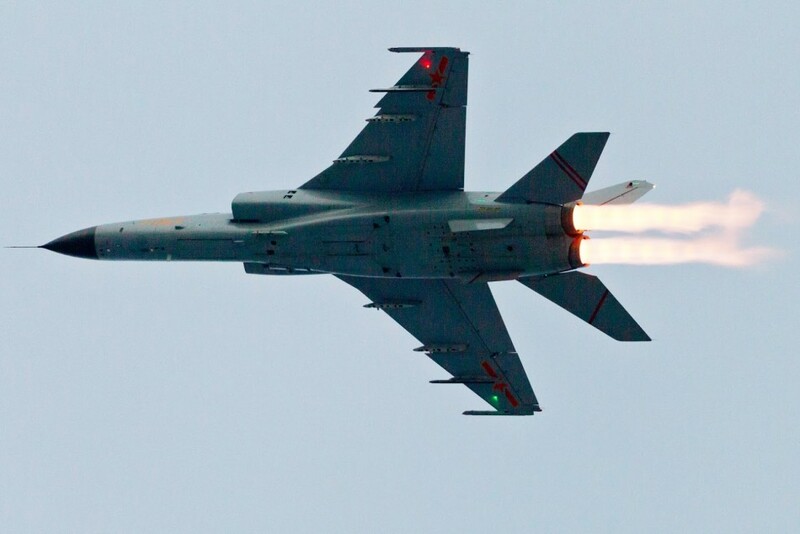 JH-7A’s new avionics system enables it to carry a wider range of weapons. The fighter/bomber is similar to Russian Su-24 frontline static bomber but has 11 weapon cradles, 3 more than Su-24. Unlike US alliance with Japan, Australia or the Philippines, there is no treaty of alliance between China and Russia, but the alliance is much stronger that US alliance with its allies. US has treaty obligations to fight for Japan, Australia and the Philippines but not willingly unless its interests are being hurt; therefore, it does not send its navy to help the Philippines counter Chinese navy in the Scarborough standoff. It just uses the excuse of taking no side in the disputes. However, the most sad things for the US are that if the US fights a war with either China or Russia, its ally Japan, Australia and the Philippines will provide it with no substantial help as they are neither willing nor able to do so. 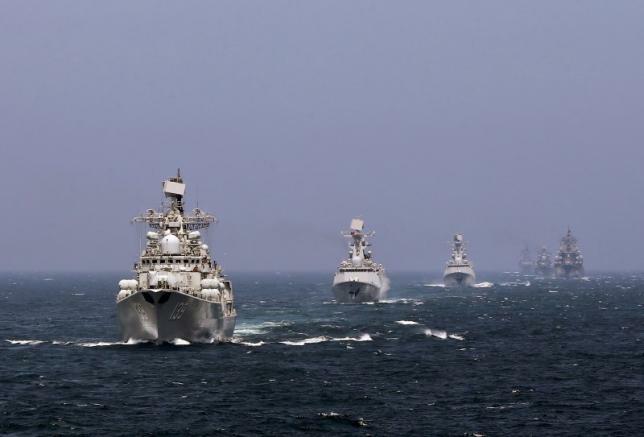 China and Russia, however, have no treaty obligations to help each other in a war between the US and either of them, but they will do their best to help each other even join each other to fight the US. If they join force, it is hard for the US to defeat them. They will do that out of necessity as the US is now doing its best to contain both of them so that they have alliance with each other to resist US containment. If one of them has been subdued by the US, the other will be isolated and easily subdued by the US. An alliance out of necessity is much stronger than a treaty alliance! Failure to ratify the U.S.-led sweeping trade pact TPP would hand China “the keys to the castle” on globalization and do nothing to solve the real problems underlying American anxiety over jobs, the top U.S. trade official said Thursday. The tariff-slashing Trans-Pacific Partnership (TPP) has turned into a hot-button topic in the run-up to the Nov. 8 U.S. election, threatening to dampen support from lawmakers needed to pass a deal critics condemn as a job-killer. U.S. Trade Representative Michael Froman said he was still optimistic Congress would pass the 12-member TPP, in part because China has been moving ahead with a trade deal of its own, the Regional Comprehensive Economic Partnership (RCEP), that would boost its exports and let it set labor and environmental standards in the fast-growing Asia Pacific region. “We’re one vote away from either cementing our leadership in this region and in the global trading system or ceding it to China,” Froman told reporters in Lima after attending the inauguration of Peruvian President Pedro Pablo Kuczynski. Froman’s defense of the TPP follows weeks of heated attacks on the deal as anti-TPP chants and signs have peppered the Republican and Democratic conventions. Republican nominee Donald Trump has called the TPP a “death blow” for manufacturing jobs and his Democratic rival Hillary Clinton has firmed up her opposition to it in recent days. Froman declined to comment on the candidates but said the TPP had become a “scapegoat” for legitimate concerns over income inequality, stagnant wages and jobs lost to automation. “You don’t get to vote on the next generation of robots,” he said, “you get to vote on trade agreements”. But the debate over TPP has also helped broaden support for domestic policies, such as infrastructure development and educational programs, to help Americans adapt to rapid economic change, Froman said. U.S. President Barack Obama wants the TPP passed this year. Froman ruled out renegotiating the “carefully balanced” text, but said issues were being solved by working on country implementation plans. He cited pork producers, dairy farmers and financial services as once-reluctant stakeholders that now back the TPP. “The last major issue outstanding has to do with biologics and intellectual property rights,” Froman said. “We’re having good constructive conversations” with members of Congress. The line should eventually stretch through Thailand and Malaysia to Singapore, and is part of an ambitious plan for China to develop infrastructure links across Asia, known as the “One Belt, One Road” project. Another issue was land allocation around the line, he added, with some land on the route having been snapped up by investors speculating ahead of government purchases. China will hold a stake of 70 percent in the joint venture project, and Laos the rest, he said. Initial capital would be around $2.1 billion, with Beijing funding Laos’ contribution of $630 million with a loan at interest below 3 percent, he added. China tested emerging military technology aimed at destroying missiles in mid-air after an initial test in 2010, state media said on Sunday (January 27, 2013), in a move that will unnerve its neighbors. A brief report by the official Xinhua news agency said the military carried out a “land-based mid-course missile interception test within its territory”. “The test has reached the pre-set goal,” the report quoted an unnamed Defence Ministry official as saying. That was China’s second successful midcourse interception test. I had a post the next day on a Chinese missile expert’s view that in spite of the two successes, China lagged behind the US in midcourse interception technology. Later, on July 16, 2013 and February 11, 2014, I had two posts respectively titled “China’s Multi-layer Anti-missile System with Copies of Russian Anti-missile radar” and “Bare the Mystery of China’s Anti-Missile Intercept System” on China’s anti-ICBM system. I have followed China’s development of ICBM interception closely and described China’s third and fourth ICBM interception tests respectively in my posts titled “China’s Third Successful Test of ICBM Interception” on July 24, 2014 and “Suspected 4th Test of China’s Midcourse ICBM Interception” on May 25, 2015. 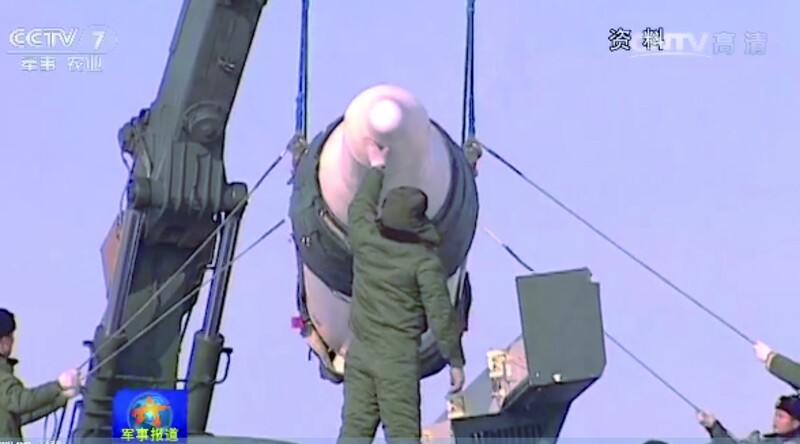 In fact state television showed footage of the tests in its report on the achievements China’s missile interception research team headed by Chen Deming. Chen has been conducting the research for 26 years. The footage in Chinese can be viewed at http://mil.huanqiu.com/china/2016-07/9226370.html. Mil.huanqiu.com is China’s official military forum where we can find official information about China’s weapon development. The footage is contained in the website’s report in Chinese titled “China perhaps adopts KKV (kinetic kill vehicle) technology in midcourse ICBM interception, a technology only China and the US master”. I only give a summary of the report and do not translate the footage. Still the website’s report describes the interception missile in quite details and posts a picture of it. However, there are much more images of the missile in the footage in the report. According to the report, the missile is a three-stage one shorter than its US counterpart and is carried on an eight-wheel cross-country vehicle similar to the launcher vehicle of HQ-9 air defense missiles. The report says that so far only China, the US and Israel have midcourse ICBM interception systems. Israel has obtained the technology from the US while China has developed its system entirely independently. Its DN series midcourse interception missiles are similar to US GMD the only midcourse ICBM interception system the US has. US Aegis system can only intercept intermediate ballistic missile instead of ICBM. As for the question whether China made public of its anti-ICBM system in response of the deployment of THAAD, Chinese experts do not think so. They believe it will be better response for China to showcase some attack system such as hypersonic flying vehicle or advanced ballistic missiles. Source: Reuters “China says pressing ahead with own anti-missile system”, full text of which can be viewed at http://www.reuters.com/article/us-china-defence-missiles-idUSKCN10812X.